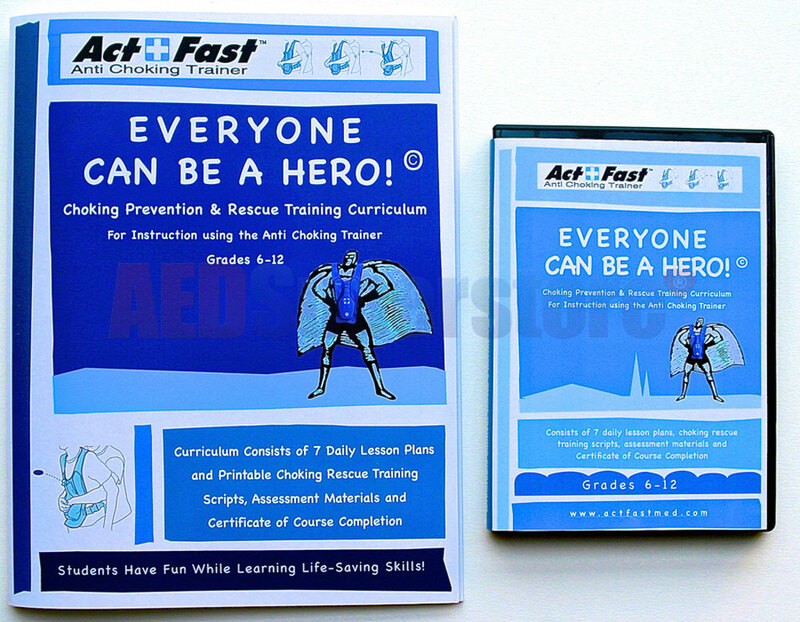 Act+Fast™ Medical Training Curriculum "Everyone Can Be A Hero"
Act+Fast™ "Everyone Can Be A Hero" Choking Prevention & Rescue Training Curriculum. Includes seven daily lesson plans, printable choking rescue training scripts, assessment materials, certificate of course completion. For grades 6 - 12. Available in print (includes flash drive) or CD. Choose media preference from drop-down window above.